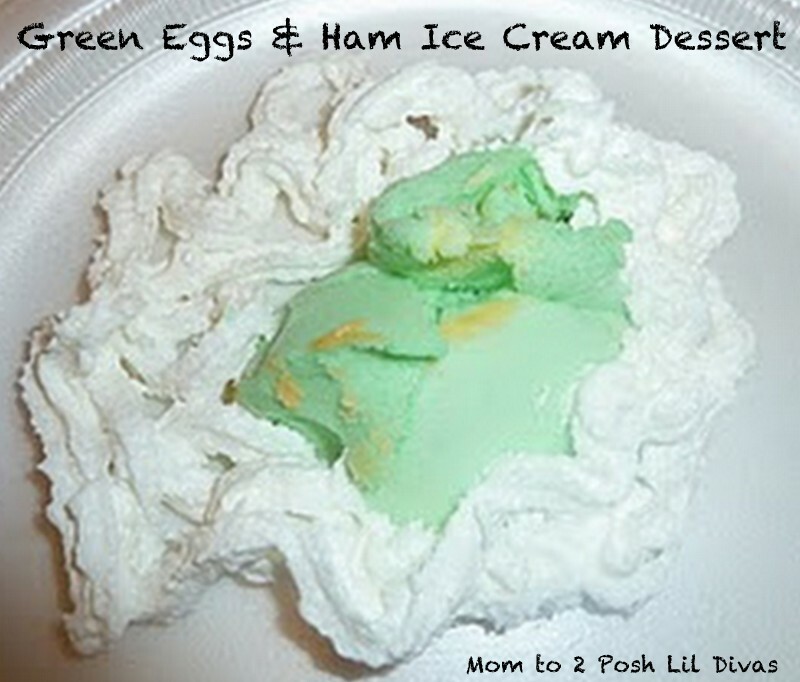 Google+ Mom to 2 Posh Lil Divas: Dr. Seuss Yummy Fun with Green Eggs & Ham! Dr. Seuss Yummy Fun with Green Eggs & Ham! It looks a bit yucky but I promise they are good! :) To whip these up just add a touch of food coloring to your eggs and ham! I even spead a bit on our whipped butter! The girls were hesitant but after they gave it a try they realized it tasted the same as our usual scrambled egg breakfast & ate it up without any problem. If you would prefer not to use food coloring (I really barely used a drop and it worked enough to add color) you can use green foods like spinach. 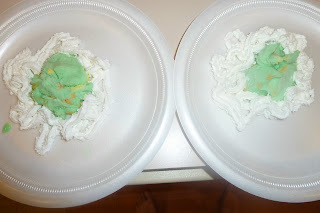 These yummy green eggs are made using lime sherbert and whipped cream! YUMMY! I hope you've enjoyed our Seuss Week Activities. Next week we are focusing on B is for Bear as we explore Panda Bears, Polar Bears, Brown Bears and of course Teddy Bears! :) I hope you'll stop by and join us in some of the "Beary" Good Fun! Green is just not a very appealling colour for food is it? I love your Green Eggs and Ham sherbet...so cute and easy! I'm sure that Adaline would've loved that :) But between Daddy and Grandma anymore she's getting way more sugar than I'd like as it is. Maybe next year! I love the green eggs made from sherbet! ha ha... how fun! Thanks so much for popping by my blog and leaving your kind comment...on the Green Eggs and Ham post. You do get up to lots of fun over here!! I love Dr.Seuss books and so do my girls. They always want me to read the books at bedtime. If they were to see this, who knows what they would do! I actually just read them Green Eggs and Ham the other night. 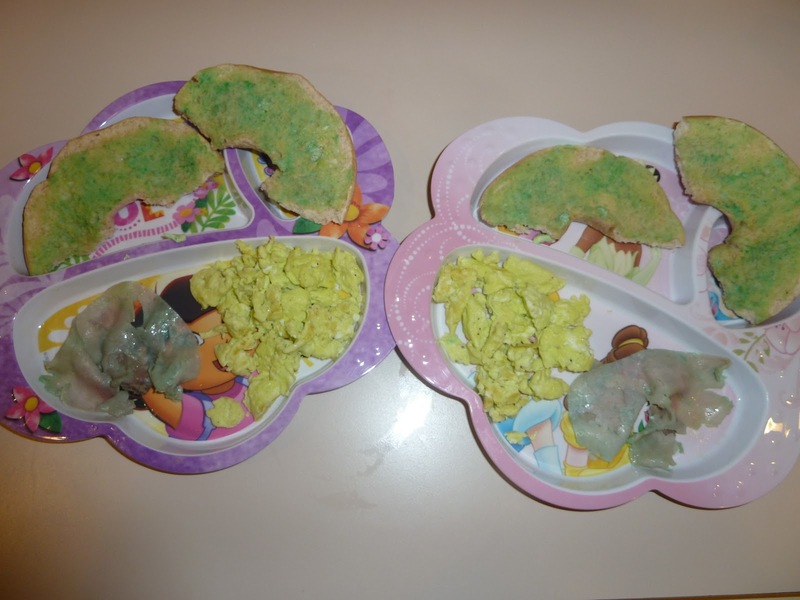 I cooked green eggs and ham for the kinder kids in an electric skillet and they were good in butter. A few kids didn't want any due to the strange color but I know they all would have loved the sherbert and ice cream! The next batch of chickens we order will lay the greenish blue eggs (Araucana) although the insides won't be green (let's hope not). I love Dr. Seuss books and all your great learning ideas! Rhyming is so good for math and reading. My favorite memory from preschool is green eggs and ham day! We had it for lunch, I thought it was great! Because of this great memory it is still my favorite dr. Seuss book! Loving your ideas! So fun!